Can Vanish Pull a Disappearing Act in the Ricoh Woodbine Mile? Trainer Vito Armata already has enjoyed previous graded stakes success here with a claimed horse, sending out $32,000 acquisition Ikerrin Road to capture last year’s Grade 3 Bold Venture on Woodbine Mile Day. Armata will be looking to pull off a much more audacious coup when he saddles Vanish for the Ricoh Woodbine Mile itself, which is slated for Saturday, September 15, after claiming the 4-year-old gelding for $40,000 on July 28. And while Armata dropped the claim slip he gives full credit to owner Joe Mazarese for selecting Vanish. “I’d been watching him, and when he dropped in for $40,000 I talked to Vito, and my other partners,” said Mazarese, who races as Eight Star Racing Stables with friends Lorenzo Scala, Michael Dattoli, and Michele Fronte. Vanish, who was coming off a first-level allowance win at on a mile on turf when victorious on the day of his first start in the claiming ranks, reappeared four weeks later with a second-place finish in the Play the King Stakes. “He (Mazarese) had wanted to claim the horse, with the stakes already on his mind,” said Armata. The Grade 2 Play the King, a seven-furlong turf race won by Mile rival Mr Havercamp, is the major local prep for the Woodbine Mile. “He loves the turf, and he loves Woodbine,” said Mazarese. 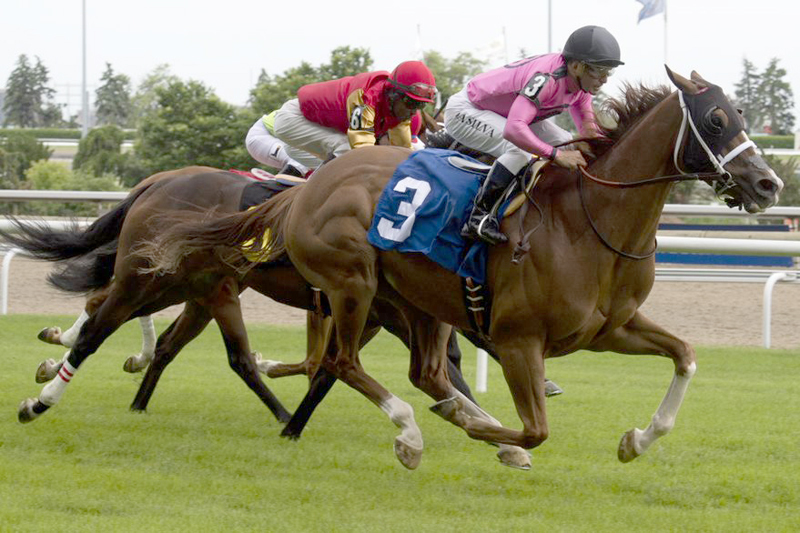 Ikerrin Road, meanwhile, will be looking to double up in the Bold Venture, a 6 ½ furlong race for 3-year-olds and upward which again is part of the Woodbine Mile Day undercard which also includes the Grade 1 Northern Dancer Turf and the Grade 2 Canadian Stakes, presented by the Japan Racing Association. After finishing off his very productive 4-year-old campaign with a second-place finish behind subsequent Canadian Horse of the Year Pink Lloyd in the Grade 2 Kennedy Road at six furlongs, the gelding was slow to his best stride this season. “He got sick on me in the springtime; he almost died,” said Armata, who watched Ikerrin Road get back on target here August 18 with a sharp score in a $60,000 optional claimer. Trainer Graham Motion, perhaps best known for saddling Animal Kingdom to a famous score in the 2011 edition of the Kentucky Derby, has really made a name for himself in Canada where he has 15 stakes wins to his credit at Woodbine. Motion already has two graded stakes wins this year at Woodbine including the Grade 3 Singspiel with Shahroze and the Grade 2 Sky Classic with Utmost and is a fan of the expansive E.P. Taylor Turf Course. The veteran conditioner will be looking for his first Ricoh Woodbine Mile win when he saddles Irish War Cry for his turf debut in the one-turn event. The four-year-old Curlin chestnut has competed primarily over a distance of ground on the dirt including wins in the 1 1/16-mile Grade 2 Holy Bull and 1 1/8-mile Grade 2 Wood Memorial as a sophomore. However, the talented colt has won at sprint distances in the past including a six-furlong score on debut and a victory in the seven-furlong Marylander Stakes, both at Laurel Park. Motion isn’t concerned about a turnback in distance. “I think it’s something he can handle. He’s got a great turn of foot. At the beginning of the year, I considered keeping him at a mile,” said Motion. The New Jersey-bred Irish War Cry sports a record of five wins and two seconds from 13 career starts and has banked $1,257,060, despite some notable blips on his past performances. Irish War Cry has trained well since being pulled up last time out in the Grade 1 Stephen Foster Handicap on an excruciatingly hot card at Churchill Downs and Motion believes the September weather in Toronto should suit the Isabelle de Tomaso homebred.